It’s round about now, with the festive fun already a rapidly fading memory and the icy cold of February still to come, that I find myself longing for a really ‘nice’ film. Nothing too complicated or likely to upset, just well made, enjoyable and… well, thoroughly nice. 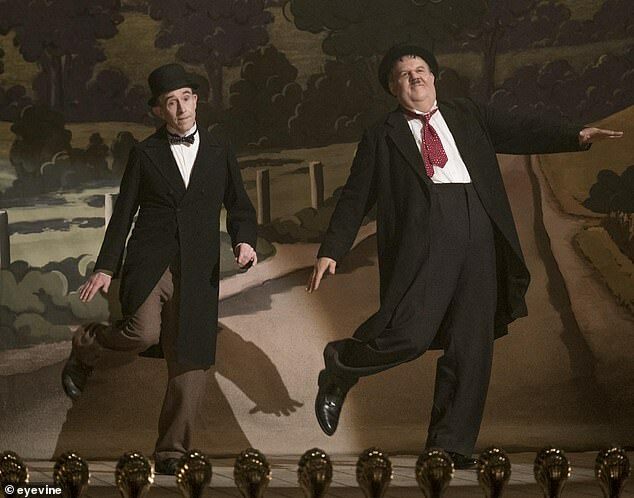 Thankfully, Stan & Ollie – a biopic charting the declining years of that iconic comic duo Laurel and Hardy – is just that sort of film. 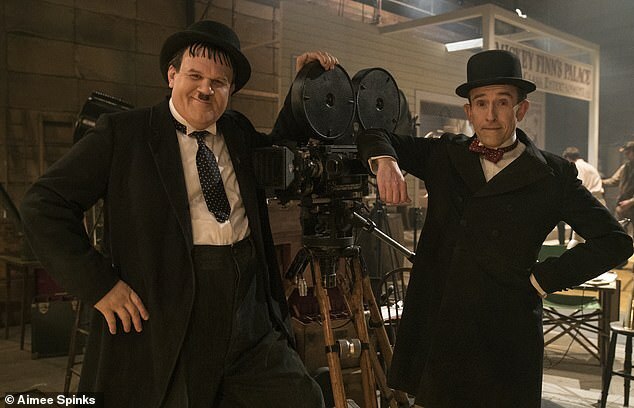 It’s beautifully acted, with Steve Coogan playing the British-born Stan Laurel to John C Reilly’s Georgia-raised Hardy, and has a screenplay from Jeff Pope that is just the right mix of sweet, touching and very funny. If you ever laughed at Laurel and Hardy, this is the film that effortlessly reminds you why. But what gives it that extra emotional oomph is its pathos and poignancy. Yes, we still chuckle at the duo’s basic comic chemistry – the sad-looking thin one alongside the jovial but irascible tubster – but this is a film that also reveals the tragedy behind the comedy and, inevitably, the tears of the clown. Or, in this case, clowns. Most of it is set in the early Fifties, when the pair embarked on a tour of British and Irish music halls and theatres. But in a brief but deliciously assembled introductory flashback to their Thirties Hollywood heyday, we see the source of the disagreements that would rankle for the rest of their careers and provide the emotional subtext for the film. When Laurel’s contract with the Hal Roach studio expired, he aggressively argued for more money. But Hardy, who was on a separate contract with a different end-date, refused to back him up. He even made a film – Zenobia (or Elephants Never Forget) – without Laurel, with the former silent-movie star Harry Langdon enjoying co-billing instead. Suffice it to say, everyone eventually kissed and made up, Laurel and Hardy made more films for Roach and then for Fox, but the pair’s standing and reputation never really recovered. By the time they hit British shores a decade and a half later – out of favour, out of fashion and short of money – most people thought they were either dead or long retired. Which explains why the audiences were so small, until legendary impresario Bernard Delfont (played here with fabulous deadpan insincerity by Rufus Jones) got the pair doing personal appearances and publicity stunts. Slowly the British public fell back in love with Laurel and Hardy and, more than six decades later, so do we. Laurel told his nurse he’d like to go skiing. Asked if he was a skier, he said: ‘I’m not. But I’d rather be doing that than this!’ Minutes later he died. The freshly Bafta-nominated Coogan is more Stan Laurel than even Laurel himself, always performing whether on or off the stage, always writing new material for their act or a new scene for the Robin Hood film that both men hope will revive their movie-making career. As for Reilly, he cleverly makes Hardy – who went by the unlikely but lifelong nickname of ‘Babe’ – as likable as he is endearingly vulnerable. I love the way director Jon S Baird blends iconic Laurel and Hardy scenes from their films with the real-life action here, especially the moment when a heavy trunk falls down two flights of steps at a railway station, reprising the famous piano scene from The Music Box, their only film ever to win an Oscar. Look out, too, for a scene-stealing turn from Nina Arianda as Laurel’s Russian and rather terrifying fourth (and final) wife, a delicious rendition of The Trail Of The Lonesome Pine, and an immensely touching late dance scene that transports you – or certainly me – to the very edge of tears before sending you out with a smile. Now that’s what I call a nice film. Some films just have no luck, and The Upside certainly appears to be one of them. Based on the French film Intouchables, a box-office smash in France in 2011, the first misfortune suffered was originally to have Harvey Weinstein as one of its producers. More recently, homophobic tweets made by one of its stars, Kevin Hart, not only cost Hart his gig hosting next month’s Oscars, while a fresh row broke out over whether able-bodied Bryan Cranston should be playing a quadriplegic. 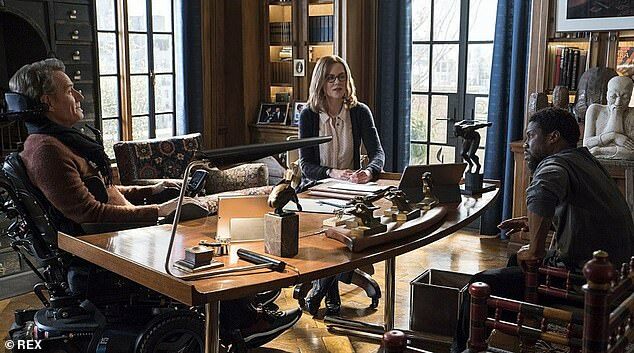 But The Upside is really good fun, with Hart giving the performance of his career as Dell, a chancer from the New York projects who blags his way into a live-in job as full-time carer to the hugely wealthy Phillip (Cranston), left paralysed after a hang-gliding accident. After a series of false starts and numerous interventions by Phillip’s business manager (Nicole Kidman), the two men improbably hit it off and, slowly, Dell helps Phillip to get his mojo back. Yes, it’s superficial, a bit glib and probably 15 minutes too long, but Hart, Cranston and Kidman are all excellent and the end result is surprisingly watchable. British audiences are likely to struggle with this retelling of a very American ‘scandal’. Hugh Jackman plays Gary Hart, the charismatic – and married – former senator who, in 1988, was favourite to land the Democratic nomination to run for President but was then caught in the company of a glamorous blonde. The film never quite grips or gets to the bottom of what actually happened.